I used card stock, ribbon and rhinestones from my stash. The shape of the card comes from a Spellbinders' Lacey Squares die. 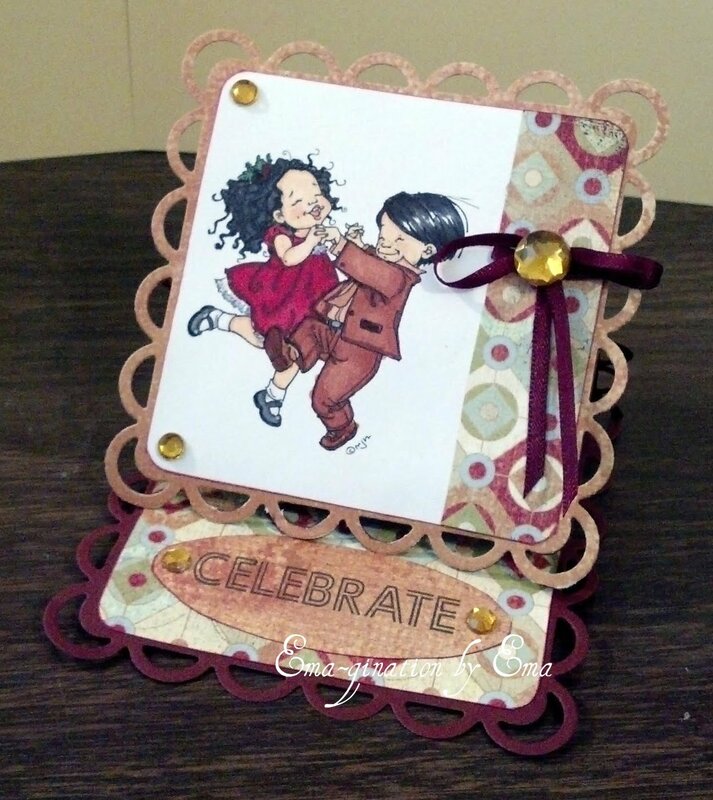 The sentiment is from a Raisin Boat clear stamp set called "You Said It!". I colored the image with Copic markers.